Investment and Packages by Nicole DuMond Photography serving Northeastern & Central Pennsylvania, the Poconos and Philadelphia areas. Wedding planning can be overwhelming at times, and there are tons of photographers out there... I get it! Here at NDP, we do things a bit differently (it's in our nature to march to the beat of our own drum) and want you to have fun with your photography experience. I LOVE working with natural light to produce those light, filmy, romantic shots I'm most known for, so I work with each couple on a custom timeline to be sure we can utilize the best light of the day for at least some of the portraits. It's my goal to get each couple to loosen up and allow me to truly document their love story in a way that doesn't feel stiff or forced. We laugh a LOT during the engagement session to get you comfortable in front of the camera, which is a key to getting those gorgeous candid shots that most of my clients love! NDP is a fully insured business. If you need a copy of our policy for your records, please don't hesitate to ask! We also don't mind talking equipment for all of our photography friends out there... just send me a message if you're interested in the type of equipment we shoot with. I'm team Canon! 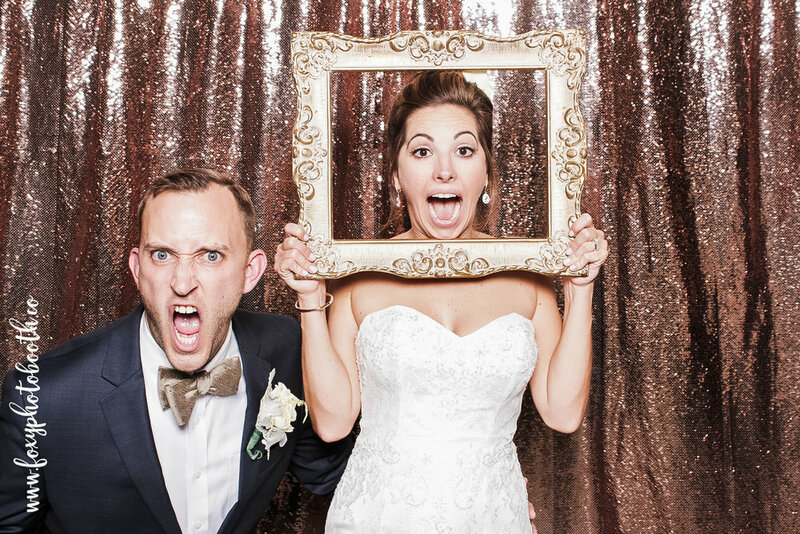 Guests LOVE our open air photo booth! Many brides fantasize about the day they will find the perfect dress. For me, it was all about finding the right photographer. The first time she met with Ryan and me, we laughed so hard the whole time, and could absolutely tell she was going to be the right fit for our big day. And then WOW! Her photos knocked it out of the park. She captured all of the moments during our wedding day, and we didn't even realize it was happening. The team she brought along fit right in with our bridal party, which made it seem like we had another friend in the house getting ready. THANK YOU, THANK YOU Nicole and team for capturing one of the best days of our lives in such a magical way. How do I even begin? To say Nicole fulfilled all of my wildest bride related photography dreams is an understatement. I was lucky enough to snag Nicole for my destination wedding in Whidbey Island, WA, and I really believe that we are one of the luckiest couples because of it! Not only did Nicole have our best interest in hand as the bride and groom, but she was also fantastic with our wedding guests. All of our communication with Nicole up until her travel date and the weekend of the wedding was a breeze! Throughout the weekend she assisted us in more ways than I ever expected and even helped transport some wedding related items to the Island! She was present for every precious moment, but our guests were very impressed with how little they noticed her presence! The morning of the wedding she not only calmed my nerves and made me more comfortable, she helped to make sure everyone stayed on track! Our photos: I HAVE NO WORDS! They are incredible, beautiful, jaw-dropping, magnificent, artful, creative, perfect, and I could go on and on. As of now, my husband and I have no idea how or if we will ever choose our favorite images, they are all THAT good. If you get the chance to have Nicole as your wedding photographer, take it! Nicole was outstanding from start to finish. We purchased one of her wedding packages (she has several levels and it was so nice to have things laid out easily that way) for our May 2017 wedding. Nicole was flexible about payment, allowing us to pay in monthly installments (so nice to have it out of the way before the wedding when so many bills are due). We also added the Foxy Photo Booth to our wedding. It was a great decision! All our guests had so much fun with it and the prints and guest books you get from it are priceless. She is organized, gracious, and you can see that she loves what she does - and is damn good at it. Even my mom commented on how you could see that she was happy to be there at the wedding and that it showed in the photographs. 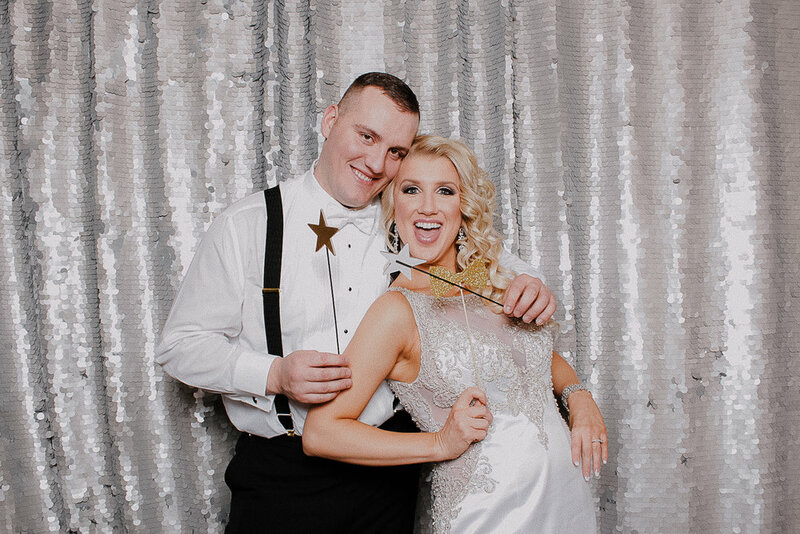 The photos came out perfect and we are so pleased with them - and our gallery was even delivered ahead of schedule during a busy wedding season. Nicole included all the directions we'd need to order prints and select the photos for our album. I am so glad that we chose NDP for our wedding day and cannot recommend her enough!